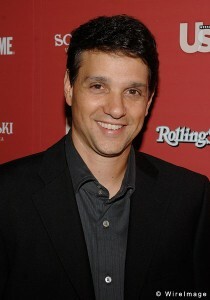 Home » Trending Now » Why is Ralph Macchio trending? Season 12 of “Dancing with the Stars” just announced that Ralph Macchio, the original Karate Kid, will be performing for your enjoyment to begin Monday, March 21. No word if Mr. Miyagi will be his trainer. Ralph George Macchio (born November 4, 1961) is an American actor, best known for his roles as Daniel LaRusso in the Karate Kid series, Billy Gambini in My Cousin Vinny, and Johnny Cade in The Outsiders. He is also known to American television audiences for his 1980–1981 recurring role as Jeremy Andretti on the comedy-drama Eight is Enough.